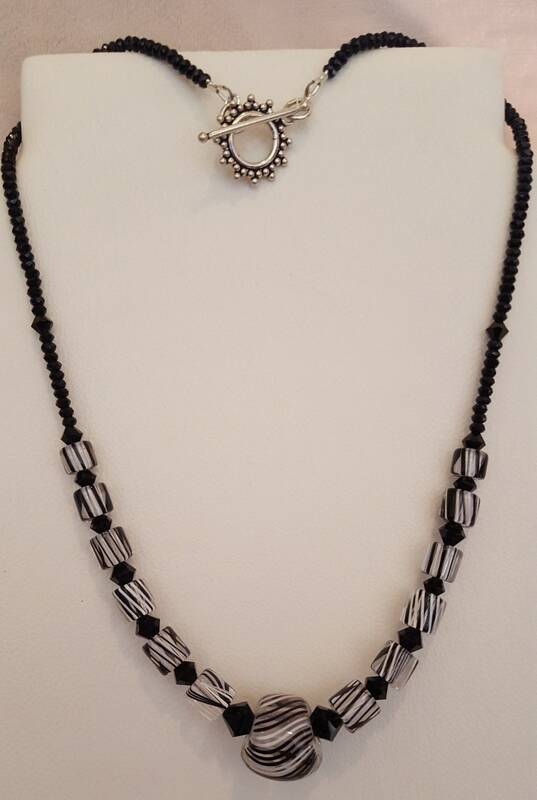 Lovely handblown black and white furnace beads with black swarovski accent beads. 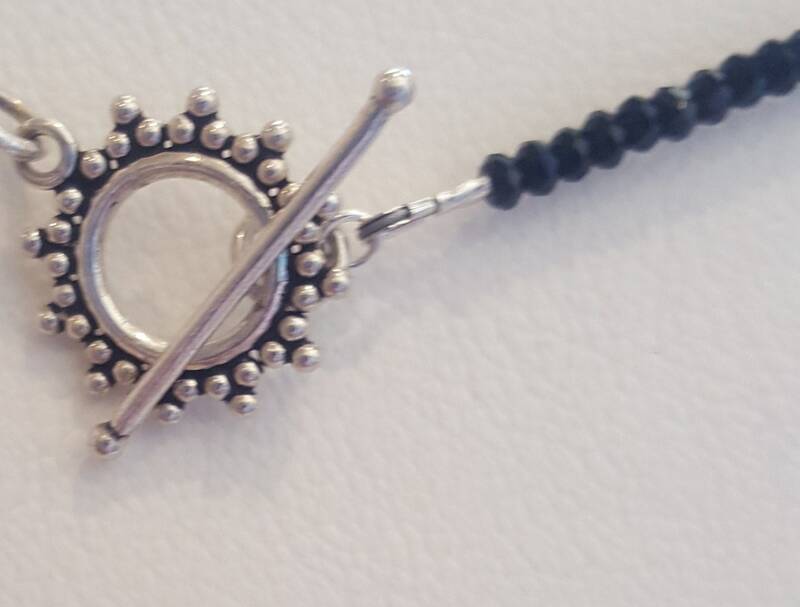 Beautiful Bali silver toggle clasp. Approx 19.5"
Perfect for that special black outfit.